Cedar Park Real Estate - Find Your Perfect Home For Sale! Mike Cusimano was born in Maryland and is a proud Veteran. After his honorable discharge from the United States Army, Mike was licensed as a REALTOR® in the State of Texas. He began his real estate career in 1992 and worked as an Apartment Locator and Leasing Specialist working throughout the Austin Metro area. After completing two years in the “Business”, he transitioned into Residential Sales with Keller Williams Realty where he was named the Northwest Office “Rookie Agent of the Year” in 1994. Shortly there after, he entered into a partnership with another top agent and created The Echelon Team. The Echelon Team ranked within the Top 5 Teams Nationally from 1995 through 1998. However, afte r a few prosperous years, the partners decided to end that enterprise and Mike decided to create his own team, and Premiere Team was born. 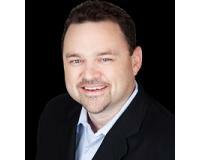 Mike stayed at Keller Williams Realty with the goal of obtaining his Broker’s License. When he did, he left Keller Williams Realty on good terms and opened his own office, Premiere Team Real Estate. Mike has been recognized for his many successes over the years and asked to speak and train agents in various cities and for other brokerages throughout Texas. He is a proud member of the Austin Board of Realtors, Williamson County Board of Realtors and Fort Hood Board of Realtors. Mike is also a licensed TREC Certified Real Estate Instructor, Provider and Trainer and is always eager to share his wisdom on the attributes of running a successful real estate practice. He continues to help people buy, sell and/ or lease houses throughout the Austin, Cedar Park, Leander, Pflugerville,Round Rock Texas and surrounding areas. "Good morning Mike Cusimano and staff. This email is long overdue as I have spent the last month trying to get settled in to my house and just now playing catch up. I just want to pass out a HUGE THANK YOU for your assistance with my recent purchase. I’m sure I was a pain in the rear at times and you were both very accommodating and for that I thank you. I’m glad we were able to work together during this transaction and hopefully again with any others in the future. But I just needed to send this to you to express my sincere thank you for your help. Once again, thank you very much! Posted by: Premiere Team Real Estate "